The history books have cast Katherine of Aragon, the first queen of King Henry VIII of England, as the ultimate symbol of the Betrayed Woman, cruelly tossed aside in favor of her husband’s seductive mistress, Anne Boleyn. Katherine’s sister, Juana of Castile, wife of Philip of Burgundy and mother of the Holy Roman Emperor Charles V, is portrayed as “Juana the Mad,” whose erratic behavior included keeping her beloved late husband’s coffin beside her for years. 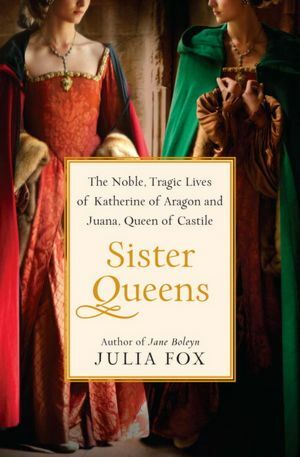 But historian Julia Fox, whose previous work painted an unprecedented portrait of Jane Boleyn, Anne’s sister, offers deeper insight in this first dual biography of Katherine and Juana, the daughters of Spain’s Ferdinand and Isabella, whose family ties remained strong despite their separation. Looking through the lens of their Spanish origins, Fox reveals these queens as flesh-and-blood women—equipped with character, intelligence, and conviction—who are worthy historical figures in their own right. When they were young, Juana’s and Katherine’s futures appeared promising. They had secured politically advantageous marriages, but their dreams of love and power quickly dissolved, and the unions for which they’d spent their whole lives preparing were fraught with duplicity and betrayal. Juana, the elder sister, unexpectedly became Spain’s sovereign, but her authority was continually usurped, first by her husband and later by her son. Katherine, a young widow after the death of Prince Arthur of Wales, soon remarried his doting brother Henry and later became a key figure in a drama that altered England’s religious landscape. Ousted from the positions of power and influence they had been groomed for and separated from their children, Katherine and Juana each turned to their rich and abiding faith and deep personal belief in their family’s dynastic legacy to cope with their enduring hardships. Sister Queens is a gripping tale of love, duty, and sacrifice—a remarkable reflection on the conflict between ambition and loyalty during an age when the greatest sin, it seems, was to have been born a woman. 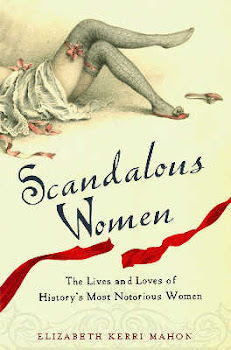 This is the first historical non-fiction book that I have downloaded to my Nook, and I just started reading it. 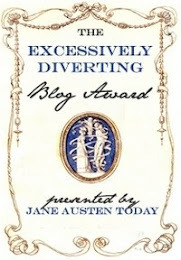 I reviewed Fox's earlier book on Jane Boleyn, I didn't accept her theory that poor Jane Boleyn was misunderstood and was totally innocent of helping to send her husband, George, and Anne Boleyn to the block. Nor that she was completely blameless in her part in helping Katherine Howard secretly meet Thomas Culpeper later in Henry VIII"s reign. However, when I heard that she had written a dual biography of Juana of Castile and Katherine of Aragon, I was intrigued enough to download it yesterday while browsing through Barnes & Noble. I've been wanting to learn more about Juana ever since I saw the film Juana La Loca and then read C.W. Gortner's wonderful novel, The Last Queen. On a side note: one of the great things about the Nook is how easy it is to buy books, which is also the downside of the Nook. Having read the first 60 pages of the book, I'm sold. It's evident that Fox has really done her research. There's none of the speculation which ruined both her first book, and Alison Weir's book on Mary Boleyn for me. Fox grounds her book with an overview of Juana and Katherine's mother Isabella of Castile (check out the portrait of Isabella on Julia Fox's web-site!). I don't think it's possible to understand either of these two women without really getting to know Isabella, who is fascinating. Queen of Castile in her own right, she sidestepped her older brother, to choose her own husband, picking Ferdinand of Aragon who was King of Sicily at time, when she was only 18 and he was 17. 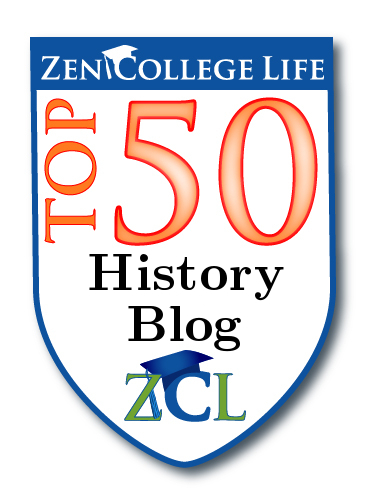 It was a dynastic marriage that turned into a love match, but frankly, Isabella must have been a pain to live with. Her determination to rid Spain of the Moors and unite the country is admirable but her religious intolerance against Moors and the Jews, kind of sticks in my craw. Expelling the Jews who refused to convert and and then inviting the Inquisition to set up shop before she even got rid of the Moors! You have to wonder if Ferdinand ever felt a bit emasculated. The kingdoms of Aragon and Castile were never officially united, and Castile was the larger, more prosperous country. The book is filled with wonderful little details like a letter from Henry VII, where he asks that Katherine's attendents be beautiful, or at least not ugly! I can't wait to dig in to continue reading the book. This was definitely worth the price of the download! Mary at The Burton Review has a more in-depth review here. 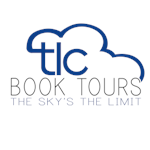 You can find out more information about the author, Julia Fox, here. I must say that I prefer the cover for the US edition over the more staid UK cover. Sounds like a fascinating read, I'll definitely check it out! It really is. I've only just started it, but I can't stop reading it, the wealth of information about these two women is just amazing.